Do you wash your face every day? If not, I recommend you start straight away, and to encourage you I’m going to give you an excellent natural homemade face wash recipe. Yikes! Feel like taking a quick break to wash your face right now? Yeah, me too! BRB. Side note: If you’d like to whip up some homemade body wash, so you can scrub more than just your face, here’s how. While washing your face is definitely important, not all products are created equally. For one, you’ll want to choose a product that fits your skin. For example, if you have acne, you’ll want a homemade face wash for acne. There are also face washes specifically for dry, oily, sensitive, and combination skin. Second, you’ll want to consider what is in the face wash. The next time you’re at the store, flip over a few bottles and read the ingredients. Personally, I prefer as few ingredients as possible in my products which is why I tend to stick to homemade face wash recipes. They usually have fewer than 8 ingredients, and I can pronounce every single one of them. Third, you’ll need to evaluate the price. It’d be great if we could just buy whatever the heck we wanted, am I right? However, for better or worse, most of us have a budget to stick to. 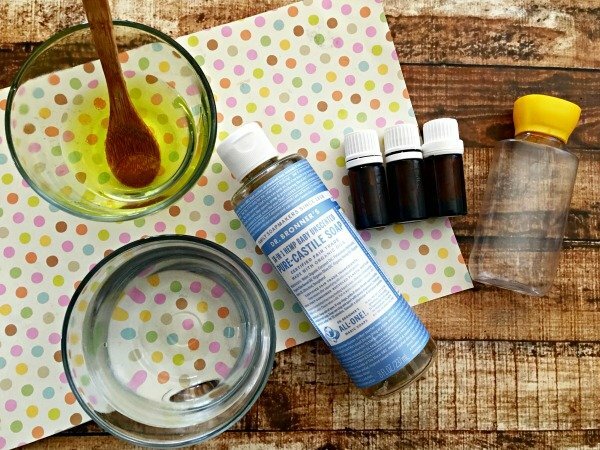 This is another benefit of this homemade face wash for acne. It’s pretty inexpensive. 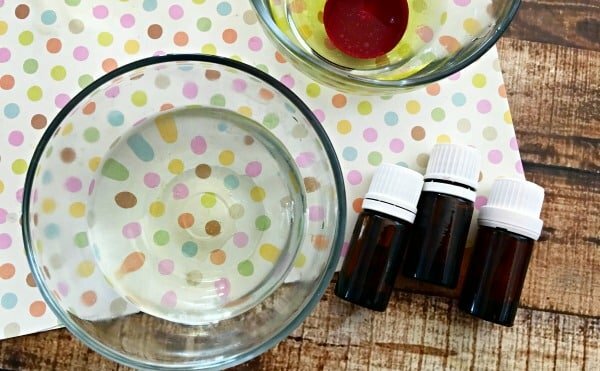 A third benefit of the homemade face wash for acne I’m going to share with you is how effective it is. Thanks to its essential oils, it’s great at kicking acne and oily skin to the curb. Don’t believe me? Just try it; what have you got to lose? Note: If you have sensitive skin, this homemade face wash recipe may not be a great option for you as grapefruit is a citrus. Instead, I recommend trying this strawberry face scrub or one of these DIY face masks. One final note: If you are pregnant, you should consult your doctor before using essential oils. 1. 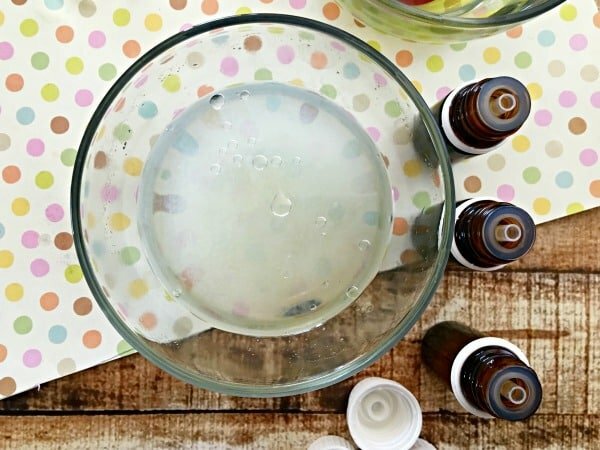 In a small mixing bowl, combine water and Jojoba oil and mix. 2. Add Castile soap and mix. 3. Add in grapefruit, tea tree, and frankincense essential oils. 4. Pour into empty container and shake. 1. 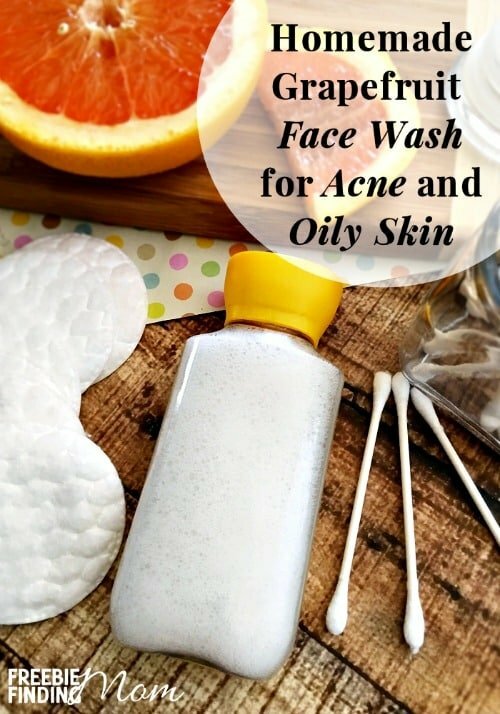 Shake homemade face wash for acne container. 2. 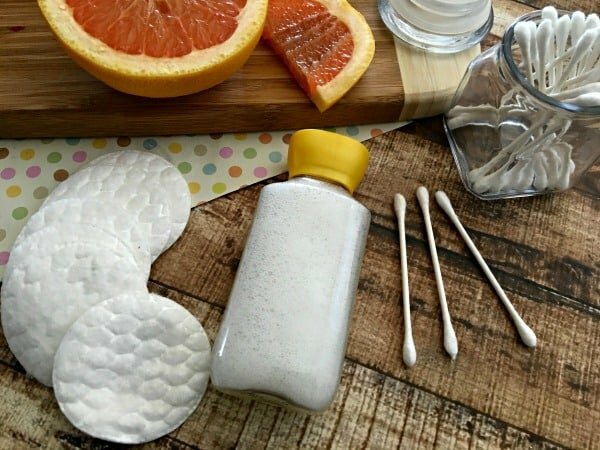 Squirt a teaspoon sized amount on a cotton pad. 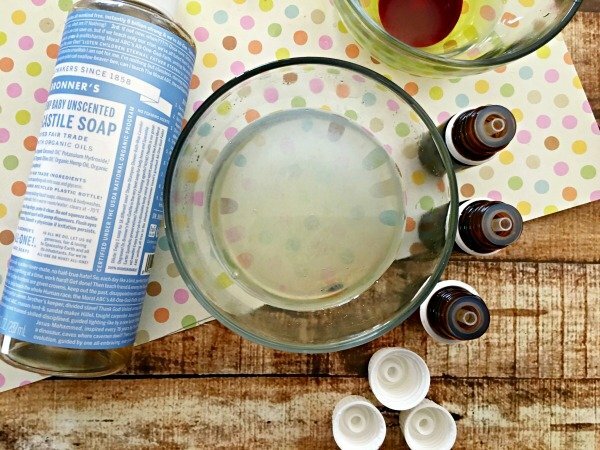 Warning: Avoid getting homemade face wash for acne in your eyes. 4. Rinse face with water.